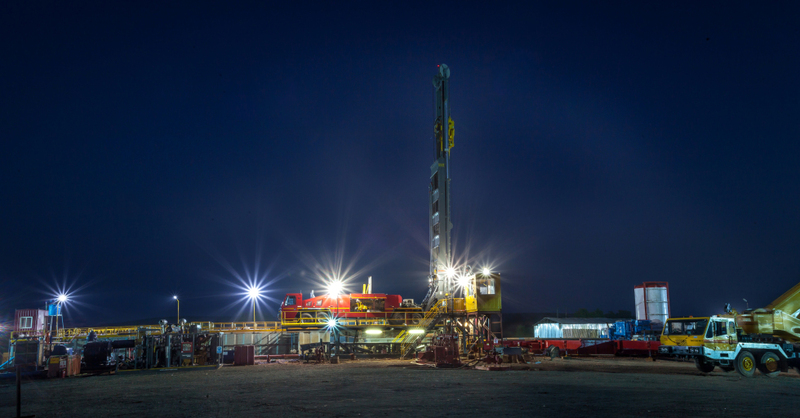 Nightfall at the site: The giant, mobile Predator drilling a gas well more than 2 000 m deep. As India explores its oil and gas reserves to enhance domestic production, a new technology has emerged for deep well drilling – the Predator Drilling System. Developed by Atlas Copco Drilling Solutions in the U.S., Predator is now helping the Indian Oil & Gas industry to take drilling performance, energy efficiency and safety to a new level. technology. “We were aware that Atlas Copco had done extensive field trials with both mud drilling and air drilling and that its Predator Drilling System incorporated very advanced, new generation technology,” says Anuj Rathi, Shivganga’s Chief Operating Officer. “We decided it was extremely suitable for this task.” As a result, Shivganga brought the world’s first Predator system to India in 2013, and soon after its arrival, the company was awarded a major drilling contract from ONGC (Oil & Natural Gas Corporation Ltd) India’s largest oil and gas exploration and production company, to drill a well more than 2 000 m in depth. However, this project was not as easy as Shivganga initially thought. Located in the interiors of central India, the site posed a major challenge. In most zones, the company encountered sandstone with an abrasiveness of 80–85 percent, mixed with much softer formations making it difficult for the driller to anticipate the hardness of the rock and act accordingly. “The compressive strength of the formation was fickle, ever- changing and never a constant. When you encounter a formation that changes so fast you need to be very careful and have very precise control over all the parameters,” explains Rathi. “Thankfully, the Predator gave us that kind of precision and we were able to keep changing the parameters depending on the requirements. The machine responds very quickly and you can change these parameters instantly.” During the project Shivganga says it achieved a performance of more than 400 m in 18 hours – a speed it believes may be a record in such formations. “We managed to keep our promise and delivered a time saving of 35 to 40 percent,” Rathi comments. “Using conventional drilling technology, it would have probably taken around six to eight months to drill this well, whereas we did it in just two and half months, including field trials, testing, setup and drilling. That’s probably never been equalled.” Outstanding rock drilling tools Shivganga insisted on full support from Atlas Copco and therefore chose Secoroc DTH hammers and bits for this deep, high pressure, percussive drilling application. drilling contracts in quick succession. One of the company’s main concerns, as a newcomer to the O&G drilling business, was the consequences of not being able to source spare parts in time in the event of a breakdown.